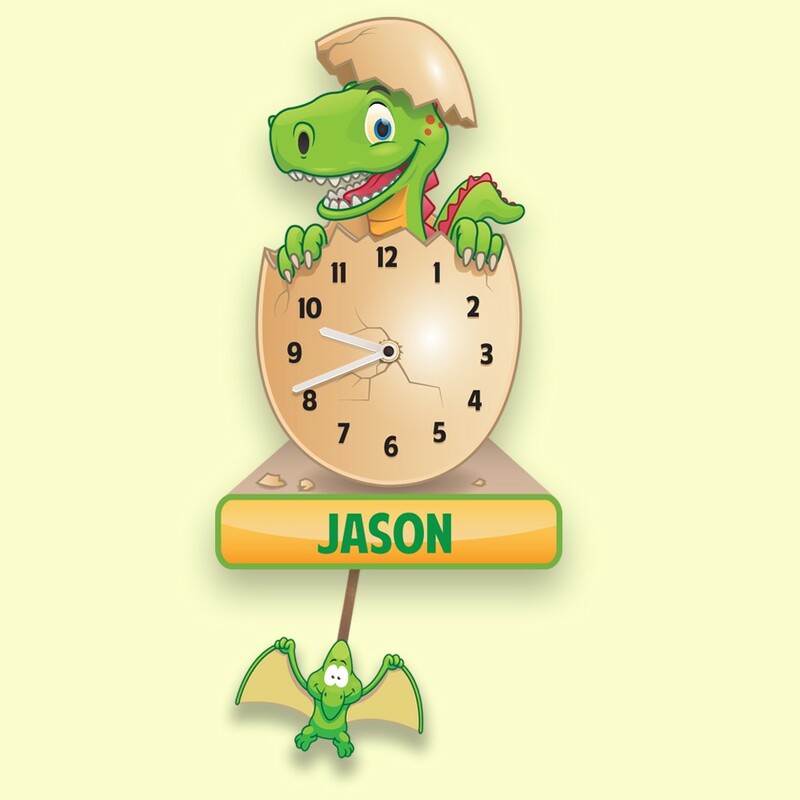 Personalised Dinosaur pendulum wall clock for a boy or girl. 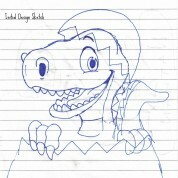 This happy little dinosaur is just starting his way in life - perhaps your little one is too. An ideal choice for any bedroom or nursery wall as not only is it incredibly cute but also features a silent tick for a non disturbed sleep. Your clock will be printed to order with any name up to 12 characters. A great design feature that makes this dinosaur clock stand out is the fact it is cut to shape. 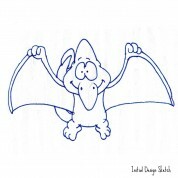 Even the cute little pendulum is cut to shape making it stand out as it swings from side to side. To make the clock lighter, we have UV printed onto opal perspex and have also rounded off any corners to avoid sharp edges. As nice as this clock looks, it shouldn't be overlooked that this gift is also an important educational aid both for your child to see his or her name but also to learn to tell the time. Packaged in a sturdy bespoke clock box it should arrive safely and ready to light up the nursery or bedroom.